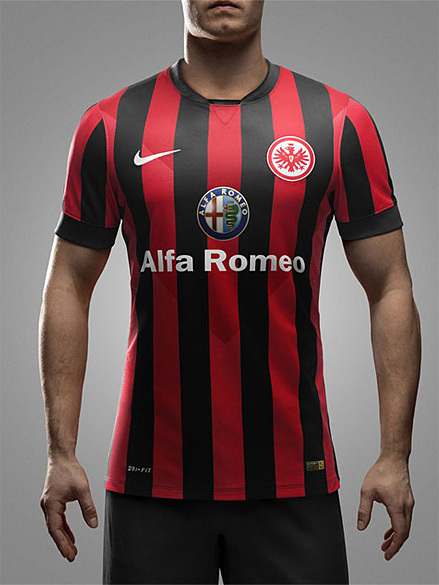 These are the new Eintracht Frankfurt kits 14/15, Eintracht’s new home and away shirts for the upcoming Bundesliga season. 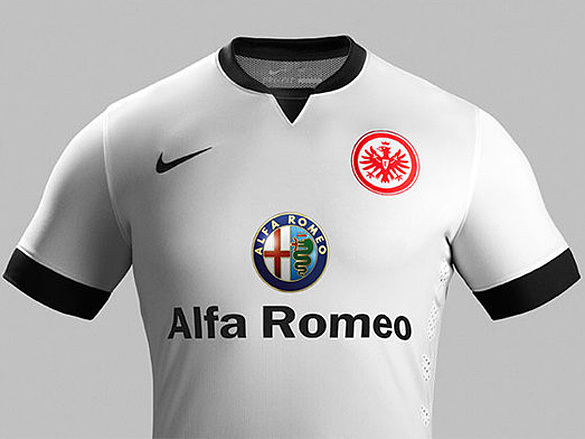 Made by Nike and sponsored by Alfa Romeo, the shirts were officially unveiled on July 1, 2014. Eintracht are one of several German clubs to be parting ways with Jako this year. This entry was posted in German Bundesliga and tagged Nike on July 1, 2014 by Football Kit News. Very simple and generic but still classy. Brilliant shirts, nice job Frankfurt ! Muito linda! Camisas da Nike são as melhores sempre! Damn that home kit is NIIIICE.